My AP operates in the 5Ghz band. There are no problems using Channel 36 to 64; however, clients can't even detect the SSID if I use Channel 100 to 140. 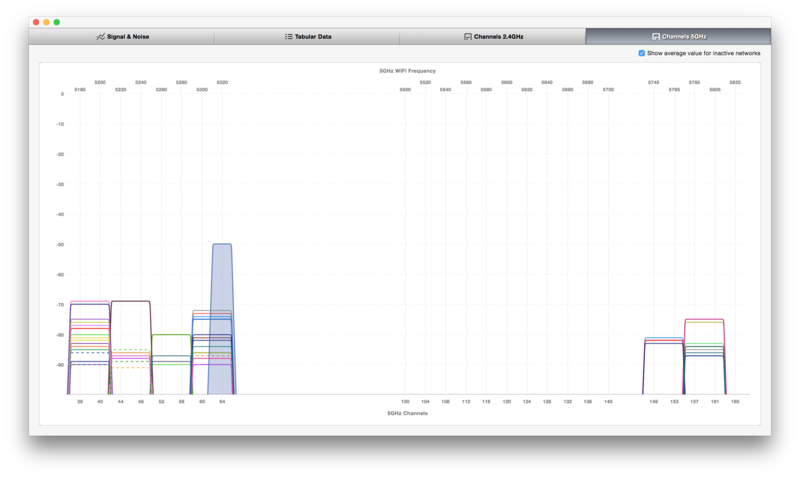 Below is a screenshot of Netspot showing all the signals in my area. It seems like its not my router issue, and that my clients can't detect anything else in the 100-140 channel range. Why is that? Is it a regional issue? I would like to have my router run on an orthogonal channel without any network interfering with it, hence I would like it to run on channel 100+. There are several challenges to overcome when using the newly available frequencies, but we may see their adoption in some products as early as 2015. Other countries/regions will allow/disallow frequency based on their own requirements and current (or historic) uses. Since there are many differences globally in which frequencies can be used (and at which power levels), if you move from one region to another your device may try to use frequencies that may be illegal to use in that region. To resolve this problem, 802.11d was approved in 2001. This added the ability to include a country/region code into the beacons, probe requests and probe responses of an 802.11 device. AFAIK, all modern access points now include support for 802.11d. However the client support is typically dependent on the wireless driver and network implementation on the device. I know OSX also supports 802.11d, but I don't have an OSX system to provide output or to say how to get this information exactly. Based on this blog post, it appears that unlike my Linux system (which appears to set the available channels each time it connects), OSX may set channels/power levels based on the first beacon if finds when the wireless network interface comes up. This can be problematic if you have devices advertising incorrect country/region codes in your area. I haven't tested this myself, so can't speak to the accuracy of the blog post. So, going back to my FCC channel example above, even once the technical challenges of the new channels are overcome and they are supported on new access points, if you client doesn't recognize them as part of the "US" region, they won't be available when 802.11d kicks in. To specifically answer your question, we would need to know a bit more information. Your guess that it may be based on your region is close, however it is actually based on the region your client thinks it is in. 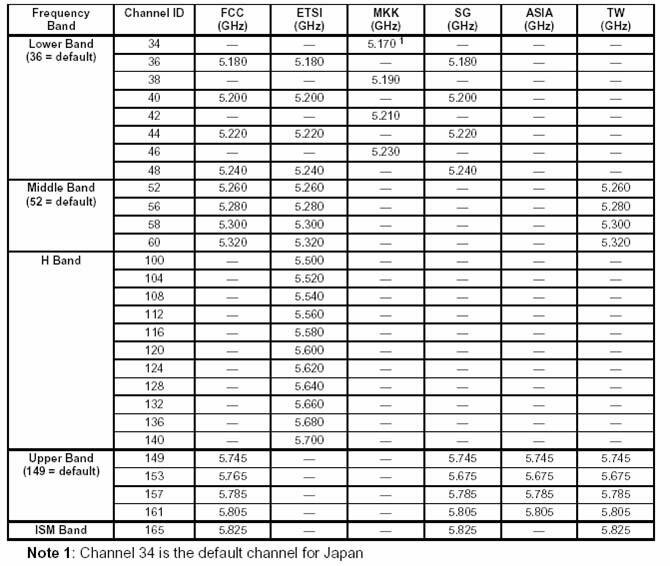 If it thinks it is in a region where channels 100-140 are not usable, you won't be able to use them (whether or not you really could be using them is another matter entirely). Conversely, you need to make sure your access point is configured for the correct region. If it isn't, it is possible that you could be subject to legal repercussions if you are reported or found to be using frequencies that you don't have the right to use. Not the answer you're looking for? Browse other questions tagged router wireless or ask your own question. Is it safe to use any wifi channel in the 2.4GHz band? Isn't 5Ghz band affected with channel overlapping? How to capture packets from all wifi channels at once? Is there a minimum signal level required for co-channel interference?